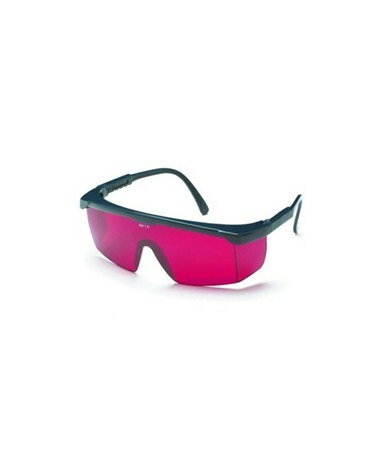 Red Laser Glasses are designed to enhance visible red light lasers. 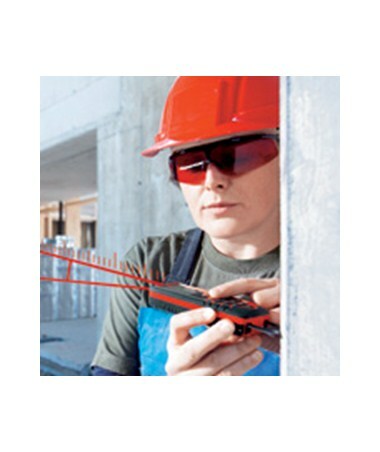 Red lens glasses for improved visibility of the laser dot in bright rooms and outdoors. If you are having difficulty seeing the laser in bright sunlight, the Laser Shades will solve your problem. The Laser Shades have red lenses which makes the laser very easy to see. Recommended for measuring up to 70 feet.